John Alexander Boyd was the fourth and last Chancellor of Ontario. He was born in Toronto on April 23rd, 1837. His father had immigrated from Scotland in 1832 and opened a small private school on the west side of Bay Street, south of King. After spending his early years at his father's school, Boyd was enrolled at the age of eleven as a pupil at Upper Canada College. The College was then situated at the corner of King and Simcoe Street and the Boyd family lived in the village of Eglinton on Yonge Street just south of what is now Blythwood Road. Boyd walked ten miles each school day. On graduating from Upper Canada College in 1853, Boyd won several prizes and was admitted to the University of Toronto. While at university he studied modern languages, English literature and history. Shortly after he was granted a Bachelor of Arts degree, he wrote a small book the "Summary of Canadian History", which was used in schools. After receiving a Master of Arts he began his law career in the summer of 1860, when he was entered on the books of The Law Society of Upper Canada as an articling student of David B. Reid. In 1863, he was admitted to the Bar and it may be noted that the benchers "were so well satisfied with the written examinations of Messrs. Boyd and (John) Hoskin as to pass them without oral examination." Also in that year Boyd married Elizabeth Buchan and their marriage was to last them 53 years and produce 12 children. In the winter of 1870, Boyd left the Reid firm to join Blake, Kerr & Wells, which then became Blake, Kerr & Boyd. The firm consisted of Edward Blake, his younger brother Samuel Blake, James Kerr, Boyd and J.W. Fletcher. Shortly after joining the firm Boyd accepted an appointment as Master in Ordinary in the Chancery Court. He held this position for two years and returned to the Blake firm in 1872 at the age of 35. In 1876, he was appointed a Q.C.. In 1881, he was appointed Chancellor when the then chancellor John Godfrey Spragge was appointed Chief Justice. At the time Boyd left the practice of law, his firm consisted of eight lawyers practising under the name of Blake, Kerr, Boyd and Cassels. Shortly after assuming the office of Chancellor, the Judicature Act of Ontario came into force and the Superior Courts of the province were consolidated and the Chancellor became the President of the Chancery Division of the High Court of Justice. In 1887, Boyd became President of the High Court of Justice. In addition to his duties as a judge, Boyd was involved in several investigations, royal commissions and arbitrations. 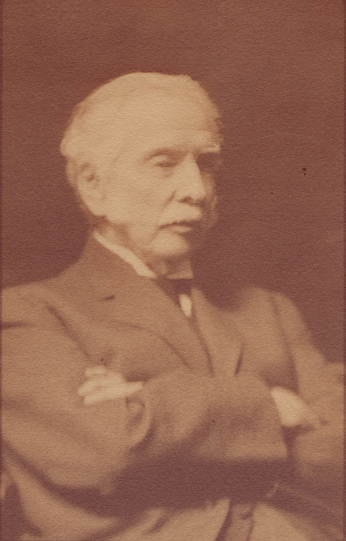 Boyd served upon the first board of trustees of the Toronto Baptist College and in 1887, when it and the Woodstock College were united to form McMaster University, he became a member of the University's first Board of Governors and continued as such until his retirement eleven years later. In 1889 he was knighted by Queen Victoria and two years later was admitted to the dignity of Knight Commander of St. Michael and St. George. No other Canadian judge had been so honoured. Sir John died on November 23rd, 1916 after a judicial career of more than 35 years. The office of Chancellor died with him. The Law Reform Act of 1909 changed the designation of the Supreme Court of Judicature of Ontario to the Supreme Court of Ontario and abolished the divisions of the High Court. It provided, however, in a fitting tribute that the Chancellor should retain his existing ranks and titles and that the office should be abolished only when vacated.